Remo is a gloss lacquered handle-free kitchen. 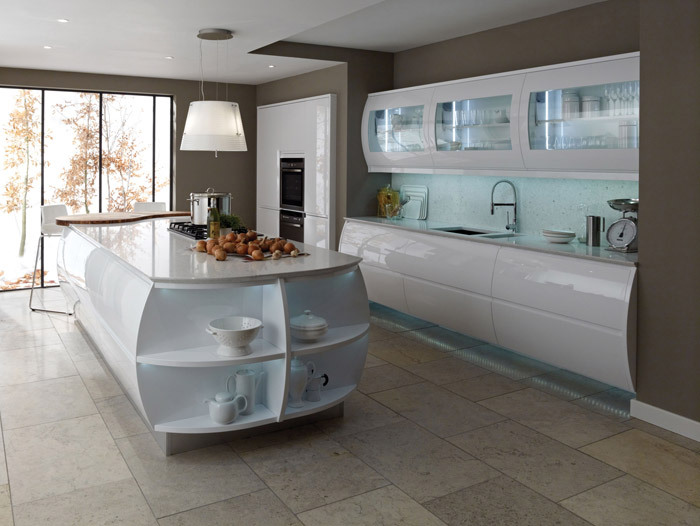 A dramatic barrel curved island and drawers will give your design real impact. Adding a zebrano breakfast bar introduces a warm contrast to the slim quartz worktop. If you like clean lines, choose Remo's straight-lined units.